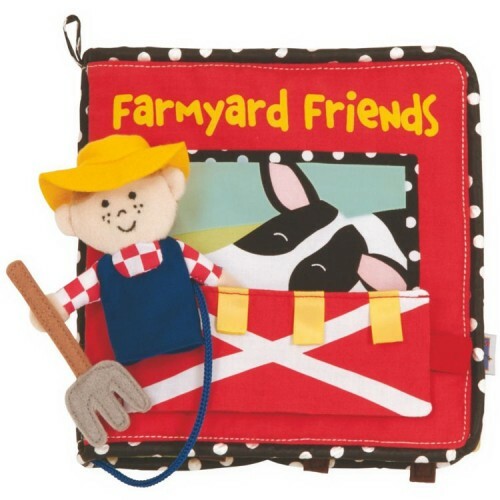 Learn farm animals, follow along the story with the finger puppet, find peek-a-boo barnyard surprises, repeat animal sounds, and have fun at the farm with the Farmyard Friends activity fabric book! 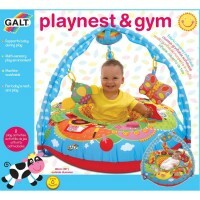 Come and play with the farm friends! 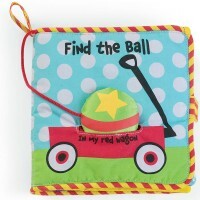 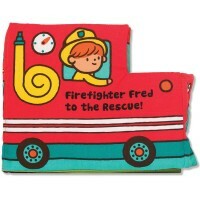 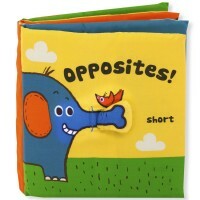 Farmyard Friends Baby Activity Soft Book by Manhattan Toy is a brightly colored first fabric book for infants. 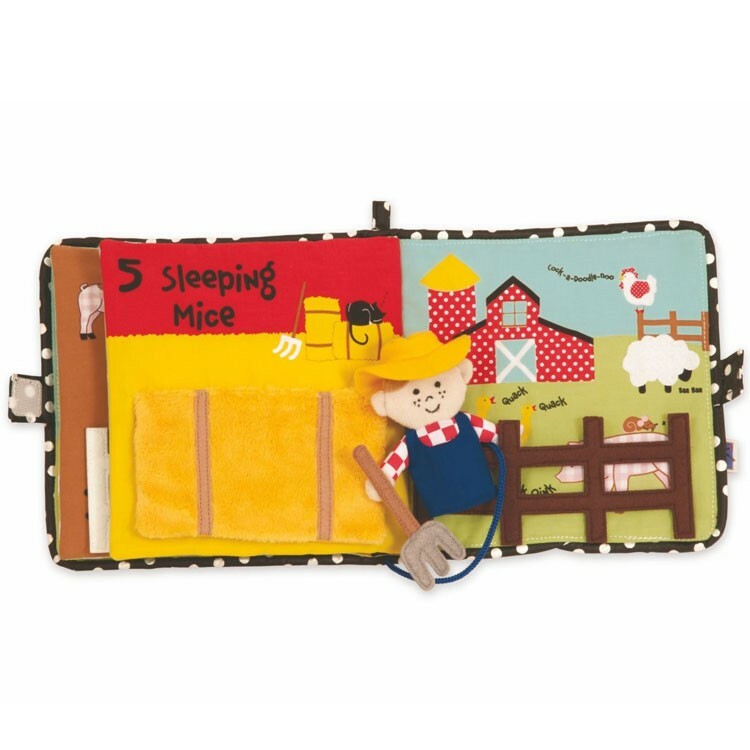 This baby activity book features farm themed colorful tactile developmental activities for the little hands and infants' minds. This soft activity book brings a 6-pages story featuring friendly farmer, barnyard animals, various textures, and small motor activities. 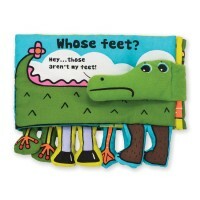 The baby story book comes with the farmer finger puppet attached to the Farmyard Friends Baby Activity Soft Book. 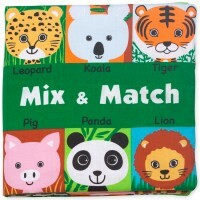 Learn farm animals, follow along the story with the finger puppet, find peek-a-boo barnyard surprises, repeat animal sounds, and have fun at the farm with this activity fabric book! 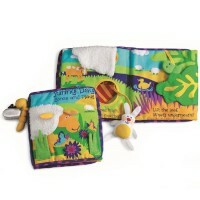 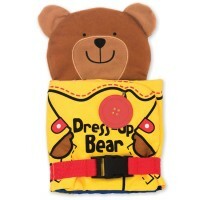 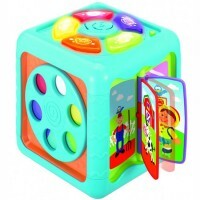 Dimensions of package 2" x 7" x 7"
Write your own review of Farmyard Friends Baby Activity Soft Book.